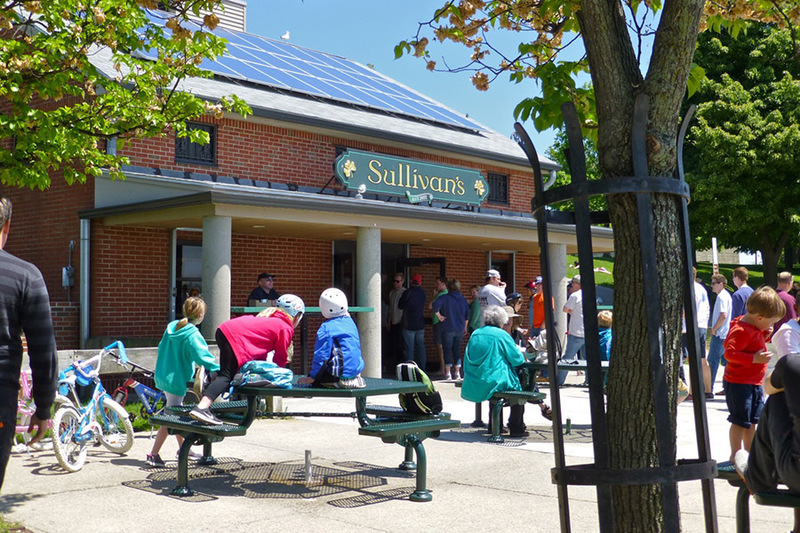 Take advantage of Saturday’s nice weather by waiting in a gigantic line with a delicious reward at the end: Sullivan’s reopens this weekend for its 67th season on Castle Island. The snack shack is known for classic lobster rolls, griddled burgers, soft-serve ice cream, raspberry lime rickeys, and of course, hot dogs—the signature “Sully’s snaps” are half-priced from opening day through Friday, March 2. The pups have an all-natural-casing, and are made especially for Sully’s by Chelsea-based Kayem Franks. Sound like a local and order it “all around”—with mustard, relish, and onion. Sullivan’s is open daily from Saturday, Feb. 24 through late November, with breakfast from 8:30-10:30 a.m., and the regular menu from 10 a.m. until the weather-dependent close. Deuxave has joined an illustrious group. On Tuesday, the Forbes Travel Guide gave the Back Bay restaurant four stars on its annual Star Rating list, making chef Chris Coombs’s French jewel Boston’s only new entry onto this prestigious list in 2018. Meritage, No. 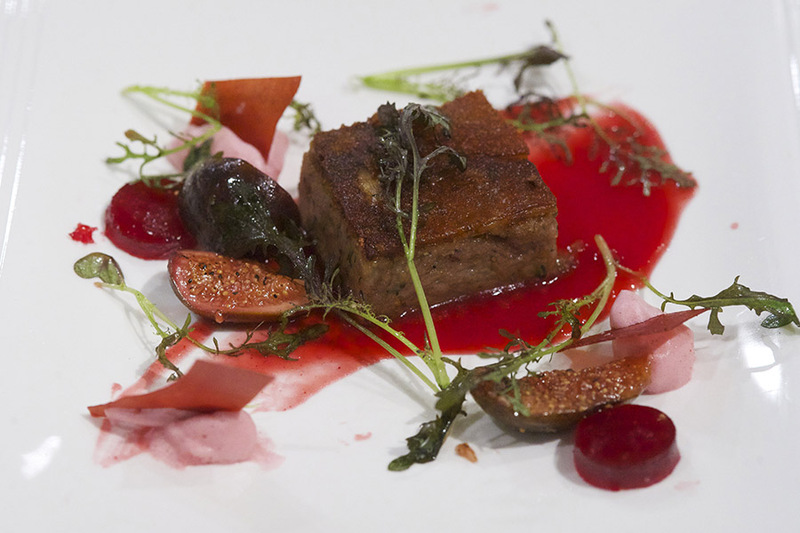 9 Park, and L’Espalier are previous four-star honorees, while Barbara Lynch’s Menton is Boston’s only Forbes Five-Star restaurant. Coombs and business partner Brian Piccini also own Dorchester’s dbar and Boston Chops in the South End and soon, Downtown Crossing, as Boston Urban Hospitality. Coombs credits BUH executive chef Adrienne Mosier, chef de cuisine Stef Bui, pastry chef Shaun Velez, and the rest of his employees for this honor. “The Deuxave team works tirelessly everyday to make it a special restaurant and we train our staff to be the best that we can be. I am so proud of the entire team that has helped get us these four stars and we are honored to join the ranks of the other prestigious Forbes Four-Star Restaurants in Boston,” he said in a press release. Get a reservation on the books to revisit this favorite for Night Moves lobster gnocchi, spiced Long Island duck breast, and a whimsical work of art for dessert. 371 Commonwealth Ave., Boston, 617-517-5915, deuxave.com. 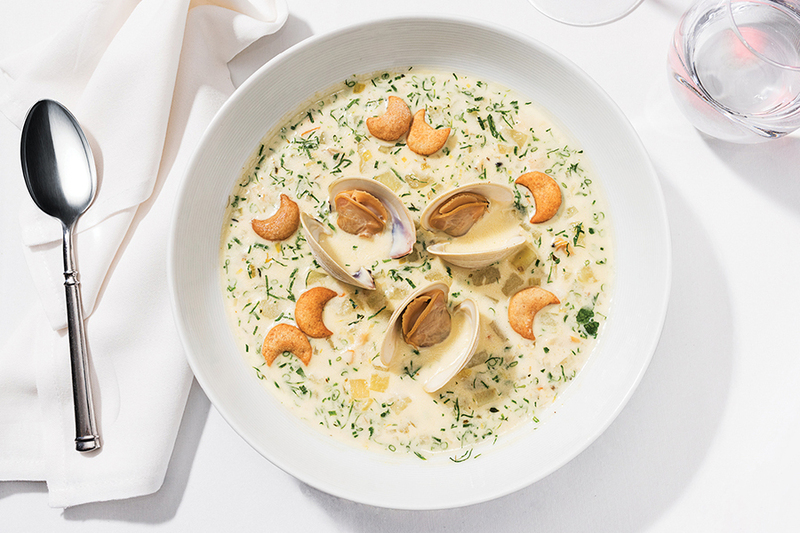 As if Bostonians need another excuse to order a bowl of New England clam chowder, especially on a dreary, rainy Sunday—February 25 is National Clam Chowder Day. If seafood is something a restaurant ever tries to do, feel confident they’ll have a bowl of the creamy, salty, perfection on the menu. Try the half-moon cracker-topped entrant from the relatively new Mooncusser Fish House (pictured), which our critic Jolyon Helterman says “[finesses] a diplomatic path between the milky lightness purists favor and back-of-the-spoon-coating hedonism.” Or, kick it old-school with a classic like a cup from Jamaica Plain’s Galway House, which comes as a complimentary option with entrées there. You could also embark on a weekend project of making your own: The official beer of the clam, Rhode Island’s Narragansett Lager, shared an easy recipe. Food holidays are general nonsense, but there are certain celebrations of food and booze that are worth the bandwagoning excitement. One of the best examples is February 22’s National Margarita Day. At first blush, perhaps it seems a bit out of season—but then we have a typically Boston February week like this one, with a 70-degree day followed by a damp and snowy one, and a margarita is quite literally just what we all needed. 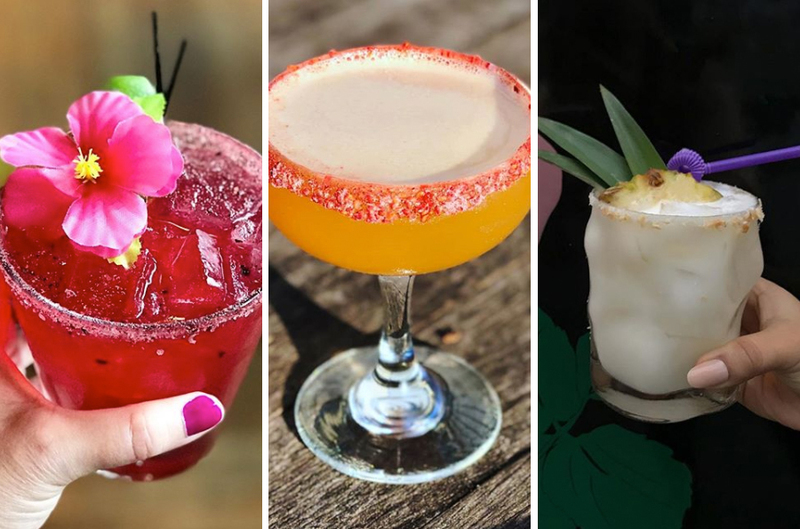 Our list of the city’s best margaritas, updated this week for the “holiday,” features drinks available any time, so continue to indulge this weekend. We spotted on Instagram many enticing specials made for the day, too—perhaps your favorite bar still has the hibiscus, the raspberry salt, or the coconut cream needed to make one for you this weekend. If you just want a beer, you can still take advantage of the saline-citrusy satisfaction of a margarita this weekend. Tonight, Cambridge Brewing Co. hosts a fiesta in honor of its latest special Barrel Cellar beer, Agave Nagila. It’s a strong Belgian blonde ale, aged one year in tequila barrels with the house wild yeast culture. That gave it just a little funk and tartness, along with some nice oak and tequila flavors. It’s finished with Kosher salt and fresh lime zest. Chef David Drew has created an all-taco specials menu for tonight, and there will even be a mariachi band (!) in the house. 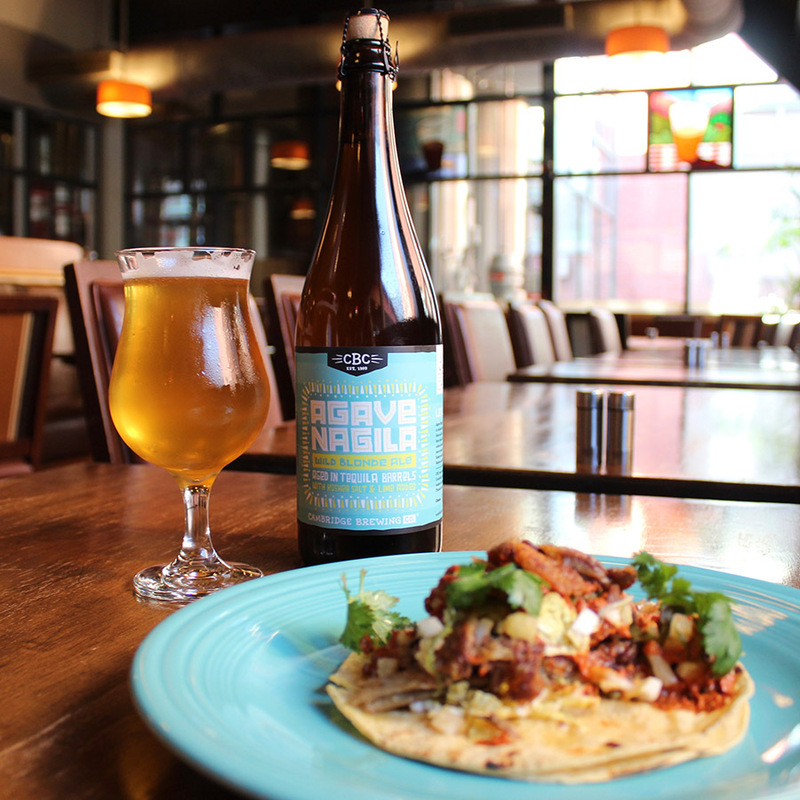 If you can’t make it to One Kendall Square tonight, fret not—Agave Nagila will also see bottle distribution throughout Massachusetts, and limited draft as well. It’ll stick around the brewpub for some time, where bottles are also on sale for $12. Other margarita-like beer options: Down in Weymouth, Barrel House Z just released Kahuna IPA, with big melon, strawberry, and citrus notes from the hops, plus added passion fruit for a bright tropical, slightly tart character. Perhaps it will see tequila barrels for aging—tequila barrel-aged Ginned Pilsner is also on draft there this weekend. And it’s not New England-local, but Dogfish Head‘s nearly ubiquitous SeaQuench Ale is under 5 percent ABV and year-round. Agave Nagila Release Party, Friday, Feb. 23, 5-11 p.m., Cambridge Brewing Company, 1 Kendall Sq., Cambridge, 617-494-1994, Facebook.